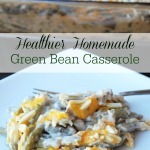 Green Bean Casserole is a classic favorite on many holiday menus. I’ve loved this dish since I was a kid. I’ve always devoured green beans. They were my favorite green veggie when I was growing up. Even if you weren’t a die-hard fan of green beans, eating them in a casserole with a flavorful creamy filling and crunchy fried onions could satisfy a pickier palate. I wanted to do a recipe makeover of this traditional side dish, eliminating the canned soups and the fried onions to make it a bit healthier, without compromising flavor. 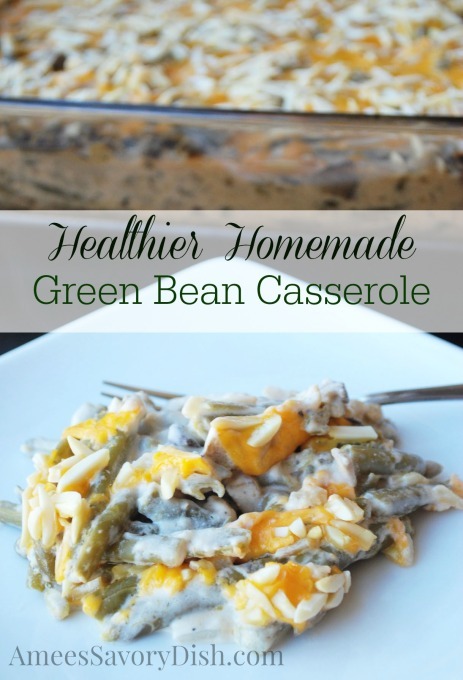 I’ve even added a few extra ingredients that I believe make this healthier homemade green bean casserole over-the-top delicious! You won’t miss the other ingredients, you get a great contrast in textures with the canned beans, crunchy water chesnuts and creamy filling. 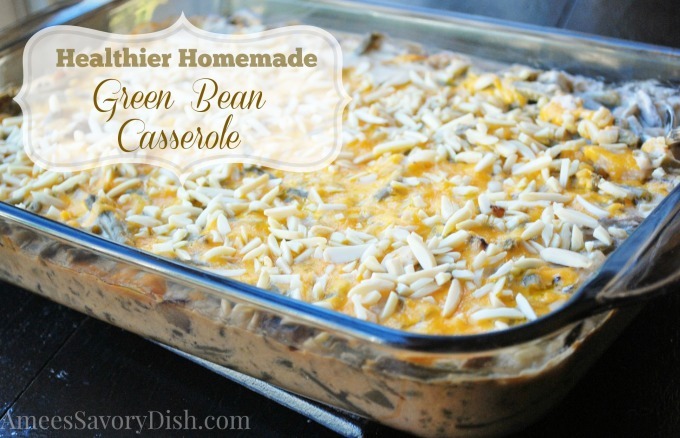 I prefer the use of Del Monte canned beans in this casserole for the best results, not to mention, they are really easy and convenient. 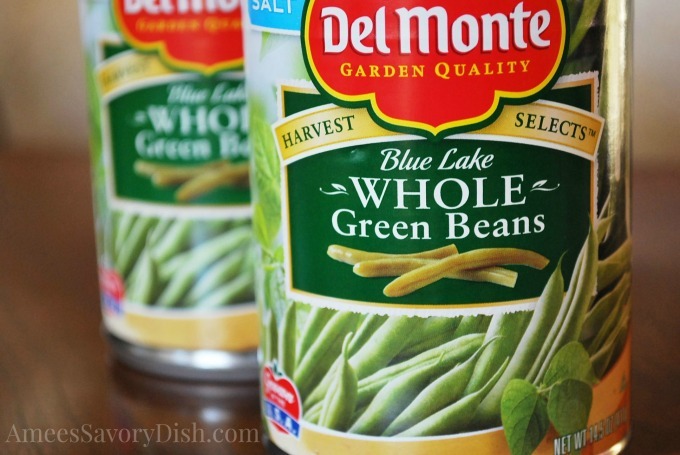 The Del Monte Blue Lake Whole Green Beans work perfectly in this recipe. If you’ve never tried the Bragg Aminos, they are a fabulous substitute for soy sauce and work great for gluten-free eaters. 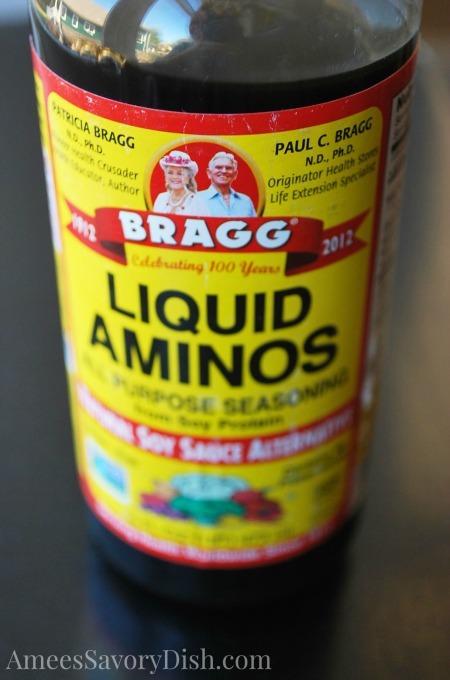 You can also buy the Coconut Aminos, which are equally delicious. 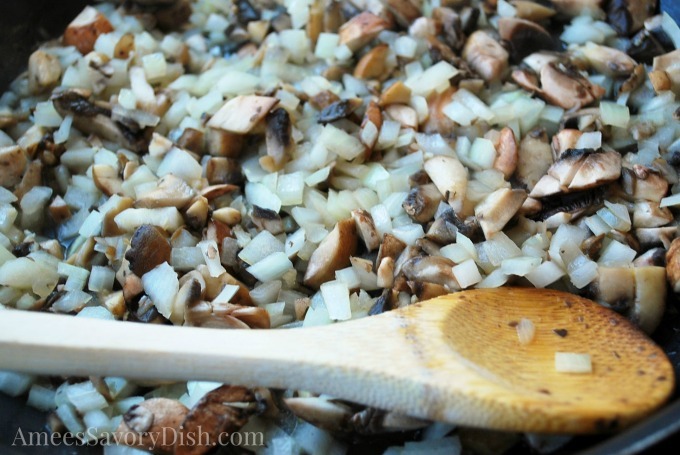 Cook mushrooms, onions and garlic until onions are translucent and mushrooms are just turning golden. 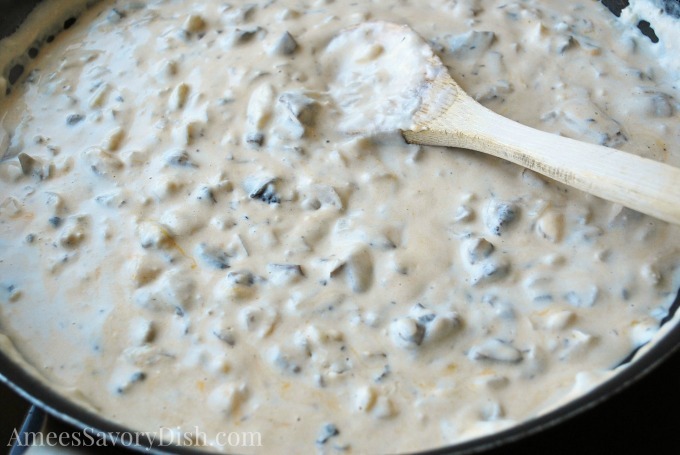 Once the other ingredients are added, the creamy mixture should thicken slightly after cooking for several minutes. See full recipe below. Head on over to PopSugar.com for great tips on how to simplify your holiday entertaining! *This post was sponsored by Del Monte through their partnership with POPSUGAR Select. While I was compensated to write a post about Del Monte, all opinions are my own. You bet! Thanks so much Christie! This looks so rich and creamy. thanks for linking this to the linkz party.